Specialized in wastewater treatment and recycling, NISKAE was created to answer the constantly growing need of industrial companies, to respect the rules and regulations in terms of rejecting used water. With a rapid return on investment, within a year, Niskae is offering ecological and cost saving solutions. Compact equipment, reliable and easy to use : treat your water in total autonomy. Our waste water treatment stations help the industrials to save money while respecting the environment. Real innovation, our waste water treatment stations are built based on officially registered models, in Europe and Canada. Our models will soon be registered in the USA as well. 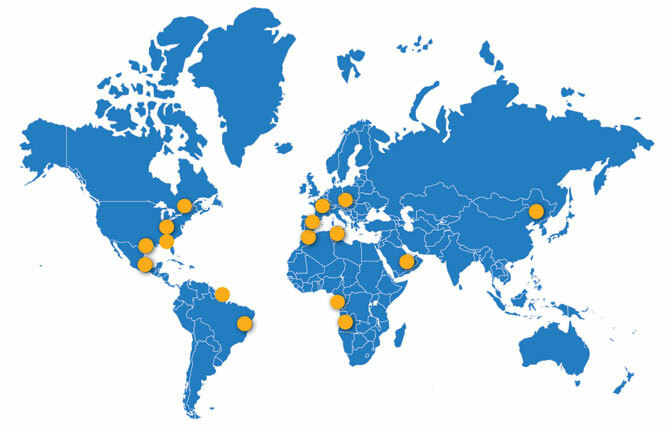 Find our accomplishments in Europe, Africa, and in the Americas. To see and example of our work, click here. Our offices are based in France, and we recently also opened a new branch in Montreal. To get in touch with one of our representatives or distributors, click here. Here’s the map of our accomplishments.